I played with the lightbox again today. I took this shot of the old school Captain America. 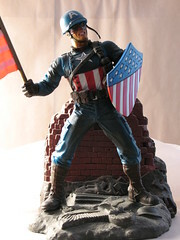 This is the Captain America I like: the one that's fighting Nazis. What a relief! With all these Nazis around today . . .